Crossing the finish line of my last triathlon. What do I wear? What will the weather be like? How do I taper? What should I eat? What are the rules? Oh my, I am losing my mind! This is me when race anxiety sets in. I can’t seem to make any decisions and I suddenly have a hundred questions that I don’t know the answer to. A running race is a bit more tolerable. I only have one discipline to worry about. One event. All I have to do is run. Not now. Now I have to swim, bike AND run. AND I have to figure out how to move from one to the next. AND I have to figure out how to sustain energy for 6 to 7 hours. I don’t know why I suddenly feel overwhelmed. I have been running for 7 years. I have been cycling and swimming for a year and a half. I have finished 2 short triathlons. I have run over 2 dozen races. I have been training for this specific race for over 4 months! It is called “race anxiety” folks. Most people have it. Newbies have it and experienced athletes have it. Even Olympians have it. This just happens to be my biggest bout of race anxiety to date. This is my longest, hardest race ever. I always thought Goofy’s Race and a Half Challenge would be my most difficult race. Nope. I always seem to strive for a challenge greater than the last. Now I drive people crazy with my nerves. I can’t even talk without stumbling over my own words. This triathlon seems to be on my mind 24/7. I think about each workout leading up to the race. Then I change my mind about what workout to do on what day. Then I change my mind about how long the workout should be. Then I change my mind about the intensity of the workout. Yesterday I went for my last longish run: 8 miles. But it turned to 6 miles as I was running because I couldn’t make up my mind about whether I should push myself or back off. I finally took the smarter option, but the answer didn’t arrive until I reached the 3-mile turn around point. I have seriously read about 10 articles about how to taper for a half ironman and each article said something totally different. All that did was feed my anxiety. I still haven’t made up my mind about what I am doing this week…. 5 days before the race. I don’t know if I am going to completely rest before race day or if I am going to jog a few miles and take a dip in the lake. I tried to look back in my fitness journal to get some answers, but that didn’t help. Some days I felt good doing a tough workout the day after an easy workout and some days I felt like crap. There was no logic to my crappy days nor was there any logic to my good days. As I write up my gear checklist I have to think about all of the possibilities. Will it suddenly be a typical Colorado wacky day and turn to 30 degrees? Or will the weather decide to kill me with 80 degree temps that my body has no idea how to handle? Will I need to pull on pants and a long sleeve shirt during the transition or can I just slip off my wetsuit and call it good? What if my bike suddenly falls apart or gets a flat tire? Will I know how to deal with the stress or will I fall apart and start sobbing right there in the middle of the course? Should I grab food at the aid stations and risk crashing my bike into an innocent bystander or should I try to stash as much fuel as I can on my bike? Will I even be able to eat enough, stay hydrated and perfectly ph balanced? Or will I crash my bike as I try to steer and avoid other cyclists while opening my gel packet? What if I get too close to another cyclist? Will I be able to pass another cyclist fast enough to not get penalized? Will I get annoyed with backing off my speed if cyclists are always passing me and I am unable to go faster? Am I confident enough about my cycling abilities to not get stuck behind a large crowd? Will my legs fall off as I start to run? Should I wear my fuel belt or just rely on the water and fuel stations? 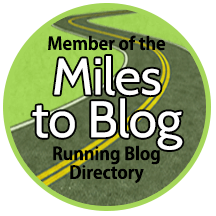 Since I know my half marathon pace like the back of my hand, will I get frustrated when I can’t maintain my normal pace? Will the sun beat down on me and force me to move at a turtle’s pace? Whew! I think it helped me just to vent all of that. Those questions have been going through my mind for the last week. I don’t expect anyone to answer them because I know I just have to figure it all out on my own. I never expected my first half marathon to go perfectly so why should I expect my first half ironman to go perfectly? We can’t learn from anything until we experience it. There will be setbacks, but there will be successes. It should be about the journey and not the destination, but sometimes the competitive spirit can only focus on the destination. However, that can lead to great disappointment. Today someone said something that really stuck with me. A coach I met in my class told me that the destination should be viewed as the celebration of all of the hard work that has already been accomplished. That’s right. I have done all of the work. I have been disciplined and dedicated. I have pushed myself. I have believed in myself. Now, it is time to celebrate. (At least this is what I keep telling myself, but my driven nature seems to keep rearing its ugly head and I revert back to panic mode). 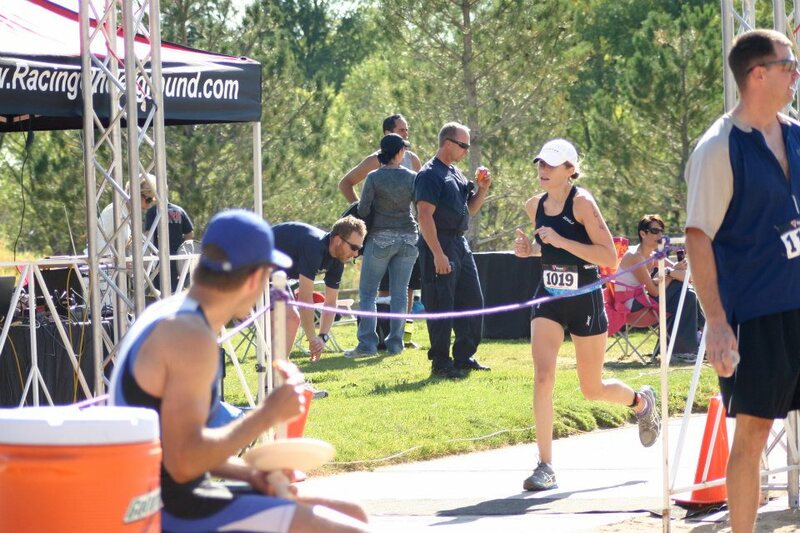 This entry was posted in Triathlon and tagged 70.3, cycling, half ironman, half marathon, HITS Grand Junction, race anxiety, running, swimming.